Children who need fostering come from diverse backgrounds. That means we need and welcome applications to foster from a diverse range of people. Read our Frequently Asked Questions – some of the answers may surprise you! 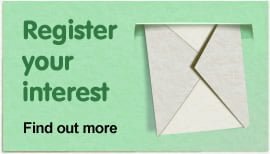 Am I too young/old to become a foster carer? Fostering regulations state that all carers must be over the age of 21. There is no upper age limit. You just need the capacity and stamina to look after a child. Yes. As a foster carer you must have at least one spare bedroom for a child. This is because a fostered child requires their own space and privacy – something they may never have had before. There may be occasions where fostered siblings can share a bedroom, or a child of baby age can share your own bedroom – but the criteria for becoming a foster carer is having a spare bedroom. Do I need qualifications to foster? No. Full training called ‘Skills to Foster’ will be provided. This training will take place part the way through your assessment to become a foster carer. All foster carers are then provided with ongoing training to increase their knowledge, widen their skill set, and keep them up to date. Can I foster as a single person? Do I need to be in a relationship? You can be married, single, living together, in a civil partnership or separated/divorced. I work. Will this stop me fostering? Not necessarily. We’ll just need to determine if you have sufficient flexibility in your working life to care for a fostered child. Can I foster if I am a tenant? Yes. You do not need to own your home to foster. As long as you have a legally-binding tenancy contract with your landlord, renting a home isn’t a barrier to fostering. Yes. Many carers have their own children – we carefully match a child to your household. Having your own children gives you valuable childcare experience that could be useful when a child is placed with you. Can I foster if I am LGBTQ? Yes. Anyone can potentially become a carer, regardless of sexual orientation. Fostering should be inclusive and diverse. Yes. A lot of children love pets, so other than any known allergies or fears, pets can be a good thing! Can I foster if I have a disability/long term health condition?? Having a disability or health (physical or mental) condition won’t preclude you from becoming a foster carer in itself (we need a diverse range of foster carers). Everyone who applies to foster needs to undergo a medical but there may be things we can put in place to support you becoming a foster carer. I smoke – can I still foster? Fostering regulations state that if you smoke, that you do so outside/away from children. However, you cannot foster a child aged 5 or younger if you smoke. Can I foster if I have a police record? Having a police record does not necessarily preclude you from becoming a foster carer. It would depend on what the offence was and how long ago it was committed. All foster carer applicants are required to apply for a DBS (Disclosure and Barring Service) check, and further information would need to be obtained about the offence during the application process – before we could make a decision. Am I allowed visitors in my home if a child is placed with me? Yes! Regular visitors to your home may be required to apply for a DBS (Disclosure and Barring Service) check, but there are no rules or regulations for occasional visitors. How long will it be before a child is placed with me? 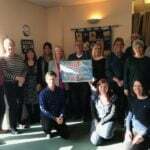 The training and assessment process involves a residential weekend, eight to ten visits to your home, references, police checks and a full report to the fostering panel. This is hard to achieve in less than four months and more typically takes six months. Because we believe matching the carer with the child is very important, time will be taken to place the right child with you. 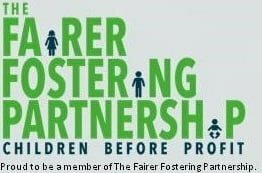 Read more about the process of becoming a foster parent here. Will I be any good as a foster carer? We have carers from all walks of life, styles of life, racial backgrounds and from 21 to 60+ years. The main thing is the time, space and experience to cope with children from difficult backgrounds. Will I be paid as a carer? When a child is placed with you, you will receive a fee that also includes a maintenance allowance for the child(ren). Additionally, there are allowances for the child’s birthday – along with holiday and religious festival allowances (e.g. Christmas). Do I get to choose which children come to live with me? Yes, it is your home and you will always have the last word on who lives there. 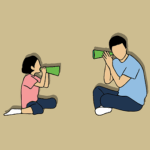 Your assessment will clarify the age and numbers of children for your approval and you will get all the available information to help you decide which children will be happy with you. Fostering is a hugely rewarding life choice, but it can also be challenging. As a foster carer, you will receive 14 days ‘respite’ per year. Respite is when another foster carer looks after the child(ren) placed with you, so you can ‘recharge your batteries’! Do I have to let the child’s family into my house? Most of the children we have in placement see their family away from the foster home. If they are safe and suitable people to visit their child in your home this can be reassuring to them and the child and you may be asked to agree to it. When does a child leave foster care? When a young person reaches the age of 18, they are no longer considered to be ‘looked after’. However, support doesn’t just end. Foster carers play an important role ensuring the young person is ready for independent living – and often a ‘staying put’ arrangement is agreed between foster carers, local authorities and the young person. This is when the young person remains in the fostering home, even though they are no longer fostered. Sometimes, a move to independent living can occur before the young person is 18 years old, but this would be assessed on a case-by-case basis. The most important thing is that the young person is supported according to their needs and aspirations. How do I apply to become a carer? Making an initial enquiry is simple. Either fill out our short form here – or call us on 0800 0856 538. As we’re not-for-profit, there will be no ‘selling’, or any pressure on you to continue with your application if you change your mind. Fostering is a life choice, and it has to be right for you. 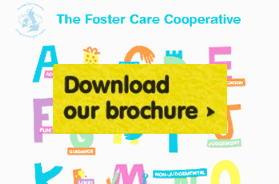 Who are The Foster Care Co-operative? How do I know they are a good agency to choose? 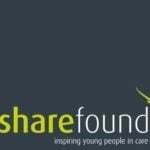 We are a not-for-profit co-operative and are registered under Fostering Services Regulations (2002) in England and Wales. We are subject to regular inspections to ensure that everything is well run and the children are thriving. Click here for more details on Who We Are.